I recently got my 2018 Fit LX that has the stock non-android auto/non-touchscreen head unit. I'm interested in swapping it out for a different headunit and curious if I'll lose any of the functionality of my other systems including the call buttons on the steering wheel. 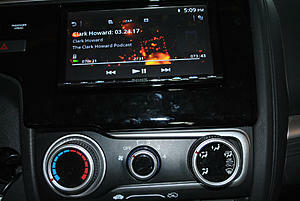 I'm still researching some units but I'm looking at the Pioneer head units. What dash kit did you use if you've done the swap? I don't need/intend to do the swap right away due to funds, but I want to make the swap when I'm capable of doing so and after being well educated. I've tried doing some research on the forums but can't find absolute answers. does ur car have the right side mirror camera? if so u might loose dat functionality unless u can find a way to trigger it when u turn on ur right turn signal. as for the steering controls if u use the latest PAC or AXXESS it should work. check into those for the latest compatibility while u save up. The only camera that I have is the backup camera, so I'm good on that part. I'm not familiar with PAC or AXXESS so I guess I'll look into that. Thanks Kenchan! The Axxess hdcc-02 will keep your back up camera and lane watch also the Axxess aswc-1 will let you keep the steering wheel control hope that helps. I checked the website for Axxess and the ASWC-1 hasn't been tested on the 2018 model. I see the 2016 modem has been tested and they have parts listed and instructions. Would that work? I'm also curious about this. I understand that the software honda has with the camera functions in a way that it crops the fisheye view to display other views . Is that function retained? I imagine not but it would push me to actually change the stock headunit without hesitation if it could be retained. Update: reading the reviews it defaults to fisheye unless it does otherwise . Last edited by craycraypixel; 06-18-2018 at 11:58 PM. The Axxess unit will restore the lanewatch and backup cameras. It is not perfect as there is a noticable delay with the activation of both that it makes the lanewatch almoat unuseable. Another attachment will retain the steering wheel controls. The fisheye is the uncropped output of both cameras. The cropping is done within the internal software of the OEM HU. No aftermarket supports the camera image cropping. The time clock does sync to the main gauge cluster I've observed, but trip computer sync does not work. Unfortunately aftermarket HU do not have a perfect way to restore OEM function. Not expecting them to either sadly. I looked into the Axxess adapter for the steering wheel controls and the backup camera. Apparently it wasn't compatible with the Sony. I would have liked to retain the steering wheel controls, but it's not a biggie to operate from the unit or the remote instead. Didn't have Lanewatch in the first place. Really don't miss the backup camera much. Only thing I found handy about it is backing into tight spaces. Otherwise, just turning my head like I always used to seems to do the trick. The Sony is so far ahead of the stock head unit as far as sound quality, depth of features, etc., that it's an easy trade-off for me. 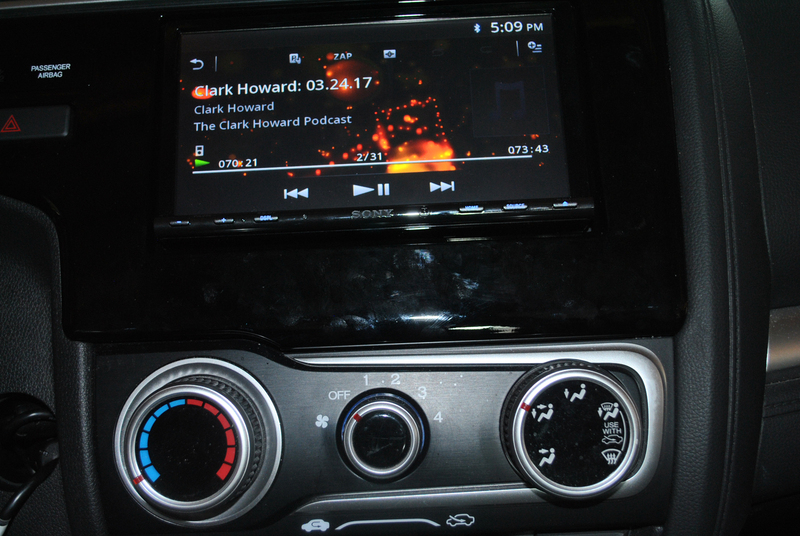 I upgraded all four speakers first - Hybrid Audio Imagine front, Mirus rear - then the head unit. Each upgrade was a noticeable improvement. The stock head unit just doesn't cut the mustard from a sound quality standpoint. Regarding the back up camera and lane watch delay I believe that is due to the head unit. My alpine halo 9 when switch to land watch or backup the delay was a split sec almost instantly. However the image was 2x more fisheye view?and lane watch image has too much contrast not perfect but at least functions. As for the steering wheel control the prewire that it came with did not work. It had to be hardwired but is pretty easy. There is only 4 wires that you need to tap into the existing harness. then the unit will auto pick up what kinda of car. Bargainguy or payluder. I'm guessing that you couldn't use the iDatalink Maestro? So for backing up and turning the steering wheel, I'm guessing the image doesn't turn the guide lines with the steering wheel? Hey action jackson the idatalink maestro is not supported yet. The rep said they will release something that will work for out car around end of summer. Unless you know something please share. Last edited by payluder; 06-21-2018 at 08:56 PM. I only know what's posted on their website. As you said, so far no compatibility with our Fit's yet. Not a deal breaker. Quick Reply: Replace stock headunit?